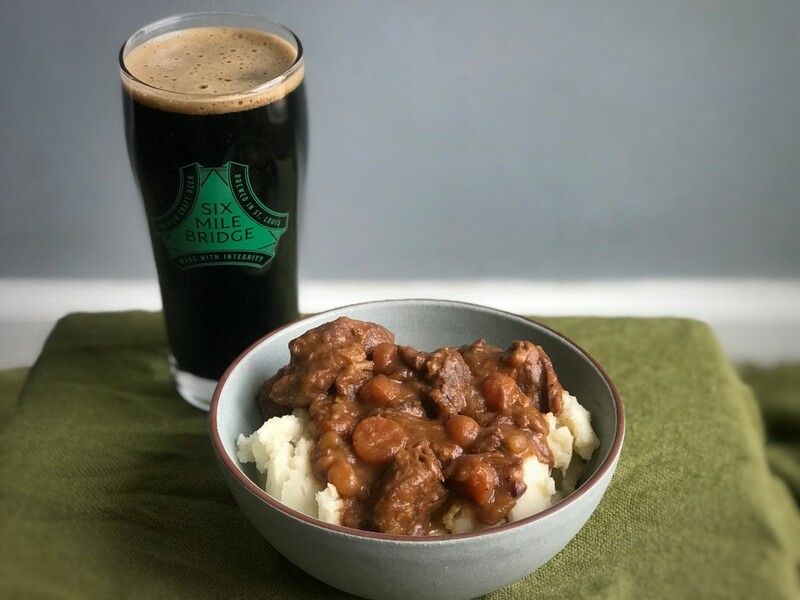 If you’re hosting a St. Patrick’s Day get-together, consider pairing our Dry Irish Stout with a traditional lamb (or beef) stew… Made with our stout right in it! 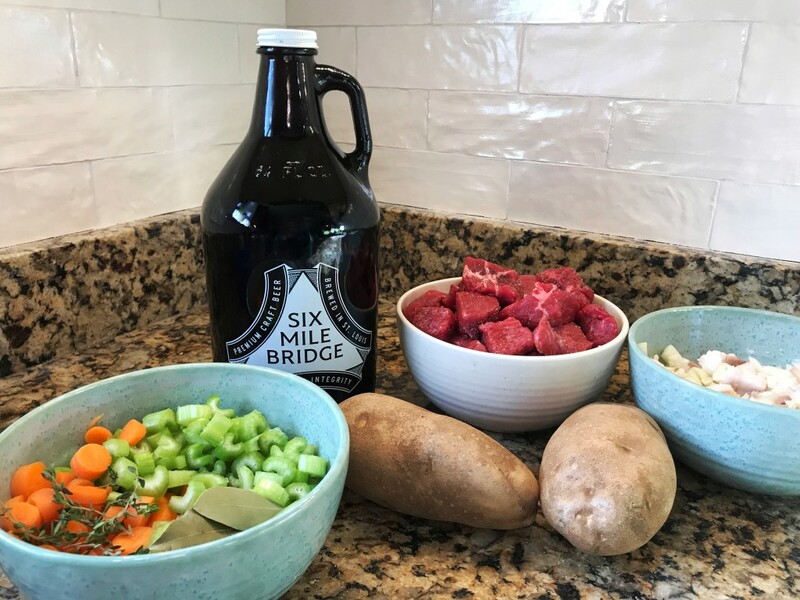 One growler and you’ll have food and drinks for a group. Rinse and dry stew meat pieces. In a large lidded pot or dutch oven, melt 2 tbsp of the butter and then turn up the heat to medium/medium-high to brown the stew meat. You’ll probably need to do the meat in smaller batches, removing to a bowl or plate once browned. Reduce the heat to medium/low. If the pot looks too dry, add another tablespoon of butter. Then add the garlic and onions and cook until the onions start to get soft. Add the diced bacon and cook until it is brown. Add 3 tablespoons of flour and stir. If the mixture appears more liquidy than a paste, add another tablespoon of flour. Add Irish Stout, beef broth, and tomato paste. Mix very well. Add meat, carrots, celery, bay leaves, and 3 large sprigs of thyme. Add as much water is needed to ensure the meat and vegetables are fully submerged. Reduce heat to low and cover the pot with lid. Simmer for 2 hours. Remove lid and continue to simmer for 45 minutes to an hour until the meat is extremely tender and the sauce is the desired texture. Skim fat off the top as needed. You’re more likely to need to do this if you used a chuck roast than if you used lamb. Remove bay leaves and thyme sprigs. Serve over homemade mashed potatoes or roasted potatoes. Garnish with a small sprig of fresh thyme.